Michelle Ford, MHA, provides consulting and expert services relating to regulatory compliance and operations in the government-sponsored programs space and has worked with numerous health plans, provider groups, and government agencies to assess and improve compliance with Federal and State healthcare regulations. She has reported to the Centers for Medicare and Medicaid Services (CMS), the California Department of Managed Health Care (DMHC), and served as an Independent Review Organization (IRO) for the Office of Inspector General (OIG), bringing valuable knowledge regarding the expectations of meeting regulatory compliance requirements to her clients. 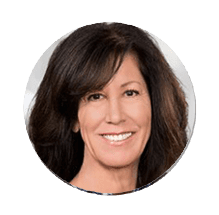 Michelle is highly experienced in healthcare compliance, audit, and risk management and is considered an industry expert in Medicare compliance program development, operations, utilization management, claims processing, and reporting. She has served as an Independent Validation Auditor for health plans that have undergone CMS program audits and has developed corrective actions plans and remediation activities for her clients that resulted in release from CMS sanctions. Michelle is a Certified Pharmacy Technician and holds a Master of Science degree in Health Care Administration and Health Informatics.